Phi Phi cheap rooms are found in the busy and main Phi Phi Don village near the pier and come in the form of hostels, guesthouses or resort bungalows. Further ways to get cheap rooms are to share, travel in low season or get a deal. Phi Phi cheap rooms are touted from the main pier as you arrive but not all cheap rooms are equal. With a few well-chosen checks and a few smart tricks you can get great value for your money. 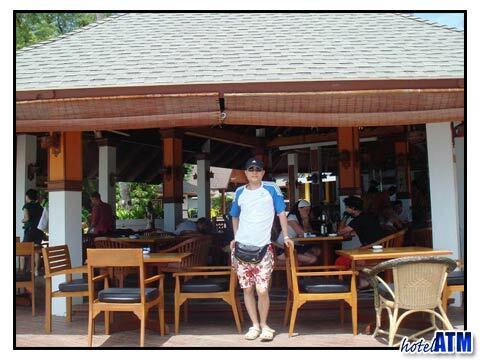 Also if you are looking for a cheap room at a luxury Phi Phi resort these ideas can save you thousands of Baht. Phi Phi cheap rooms in the main village are guesthouses and hostels. These are the smart hostels like Ivory Phi Phi and the The White Guesthouse that have good and strong reviews and there many at a simpler level, that are a lot more rough and ready, a style that hasn't really changed in 30 years of backpacking. This simpler style of hostel is the one that is left if you arrive on a high season day expecting to find a room just walking around. There aren’t enough 'quality and cheap rooms' on Phi Phi as all the ones with good reviews get booked in advance. These simpler guesthouses make their money by putting up the price when the island gets full which is an incredible 5 months a year. The island has 3,300 rooms from 1 star to 5 stars for holiday makers and this is just a pin prick compared to all the rooms in neighbouring travel destinations of Phuket (30,000 room) and Krabi (12,000). When you understand that Phi Phi is heavily promoted with it's iconic views of Maya Bay in Phuket and Krabi and all over Thailand, it is easy to appreciate that Phi Phi Island fills up quickly. One obvious trick for getting Phi Phi cheap rooms is to share with friends. Most rooms on Phi Phi are 'sharing for 2 people' but many will accept an 'extra bed' which is often a bunk-bed put at the side of a twin or double bed. However there are some rooms that are for 4 and 5 people and as long as you are close friends or are family, are a superb way of getting the room 'on the cheap'. Harmony House has 3, 4 and 5 people sharing rooms in their fan category and this is the cheapest on the island. The beachfront Tohko Beach Resort has wonderful family rooms for 4 people over on the remote Pak Nam Beach. The Phi Phi Villa Resort has luxury, smart and large family rooms ideal for a stay just on the edge of the village. Next door, the famous Andaman Beach Resort has great beachfront family rooms in a more informal setting, ideal for younger families. Phi Phi cheap rooms can be had during the full moon party in Koh Phangan. As there is an exodus from the islands during this monthly festival, those same hostels that put prices up when the island is full are forced to lower their rates to keep the rooms full. This period has the added advantage of less people being on the beaches, on the famous Maya Bay and on the dive sites. Click here to see the full moon party dates. Phi Phi cheap rooms are always available in 'low seasons' which is May 1st till October 31st. Room prices are up to 40% cheaper than 'high and peak season'. Low season describes the time when the weather is poorer. The 2 monsoon months of June and September pull in wetter, windier and more humid weather. However not all days are grim and the May, July, August, October months can have plenty of high-season like weather. The Phi Phi weather page goes through each low season month with an article about each month. Phi Phi cheap rooms can be found on the Phi Phi Hotel Deals page. This lists any Free Night Specials, Fixed Night Promotions, Special Discounts, Early Bird Offers Honeymoon offers. On a deal only on the hotelATM.com and phi-phi.com websites, the company gives you a free night stay if you book 15 nights or more. This applies to the cheapest hostel and guesthouse or the best luxury resort. The key resorts offer Phi Phi cheap rooms in the low season by combining the 'low season' rate with a 'low season' deal. This double win brings the price down from a 'peak season' high price to up to 70% off in the 'low season'. This mainly applies for the Holiday Inn Phi Phi Island and Phi Phi Island Village Resort And Spa rooms as the 5 star Zeavola Phi Phi Resort is busy all year.